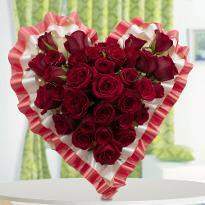 Winni has been serving people for a long time with the best of flowers for valentines day. 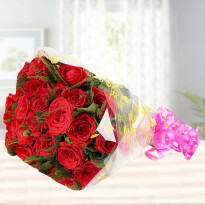 On the occasion of Valentine’s Day, we have brought you some unique romantic collection of Valentine flowers, and gifting these bouquets or floral arrangements to your better half would enhance the love and romance in your life. 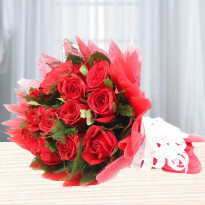 Our extensive network of services would get Valentine’s day flowers delivered to the right place. 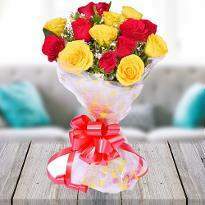 Express your unconditional love to your special one with an exotic array of Valentine flowers online from Winni. 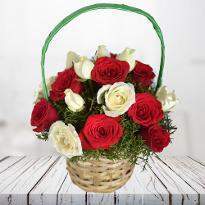 You can find and gift your love on this Valentine Day by sending the most exclusive arrangement of fresh flowers at the doorstep of your lover residing at Jammu. 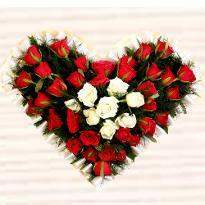 Spread the fragrance of love on this Valentine with beautiful blooms. 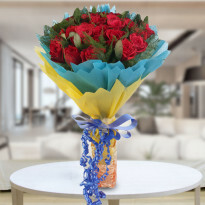 We have a wide variety of flowers in our Valentine floral category that we have carefully handpicked for Valentine’s Day. You can find flowers like gerberas, Roses, lilies, carnations and much more. 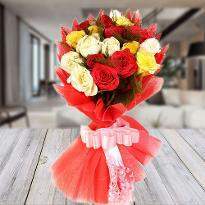 Flowers can be a very alluring Valentine's Day gift that you can send to your beloved one on Valentine Day. 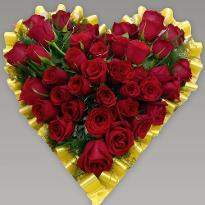 Flowers are perfect Valentine Day gift as they have the appeal to appease everyone. 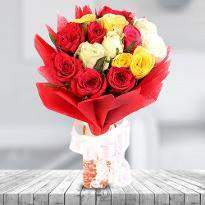 A Valentine’s Day celebration may be considered as incomplete without a bouquet of colorful flowers. 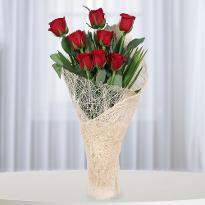 At Winni, you get to choose from a broad range of Valentine Flowers and Valentine flower Combos online. 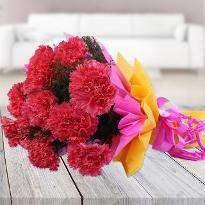 With Winni, you can place your order online for Valentine flowers to your beloved anywhere in Jammu. 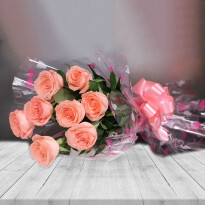 Browse our Valentine flowers category and choose the best Valentine Valentine Day flowers online from Winni with few clicks. 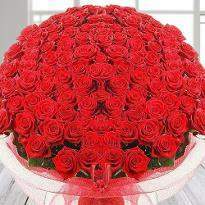 Sending Valentine flowers to your lover can cheer up your lover. 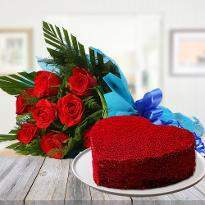 You can plan a surprise for your lover on Valentine Day with Winni. 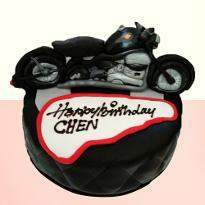 You can select surprise option at check out page and leave rest on us. 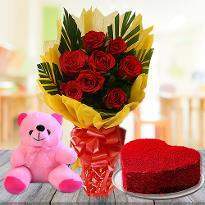 With our excellent delivery service in Jammu, you can be sure that your Valentine flowers will reach in the hand of your lover safely. 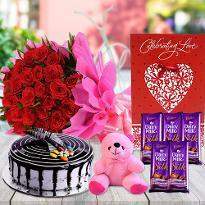 Winni offers midnight and standard delivery that you can choose as per your choice. 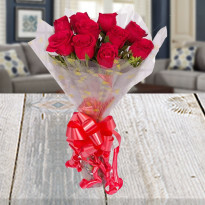 If you want that your Valentine flowers should be delivered at the stroke of midnight, then you can choose the midnight delivery option from Winni. 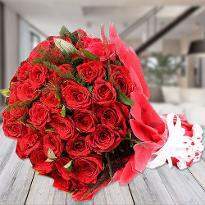 Just visualize the expression on the face of your lover when they receive the Valentine flowers from your side at midnight. From Winni, you can also give words to your thoughts and send in the form of personal message. 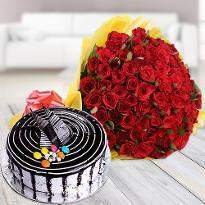 You can also send lip-smacking cakes and Valentine gifts along with your Valentine flowers online from Winni. 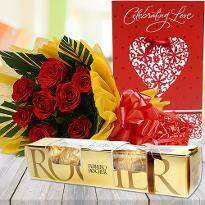 If you want to avoid the last minute rush on Valentine, then you can place your order in advance from Winni. 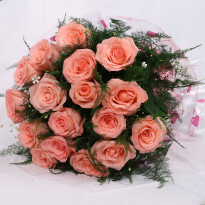 You don’t need to visit many florists and waste your time in search of fresh Valentine flowers. 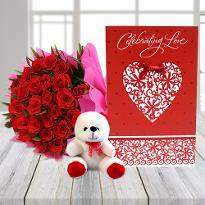 So go ahead and place your order for Valentine flowers online from Winni and put a huge smile on the face of your lover.